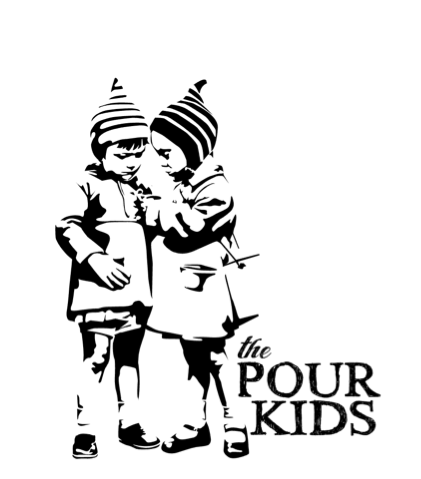 With such vibrant furnishing and an adorable logo, one would assume there is a story behind where 'Pour Kids,' found its name. Put bluntly, there isn't; the owners simply have a fondness for homophones and a penchant for puns. Pour kids, lucky me. This three-month-old food lovers' fantasy in Malvern beckons that brunch lovers rejoice with delight. Finally, a local breakfast and lunch spot that breaks free from the modern industrial warehouse mould! Only in its infancy, the cafe is already popular. 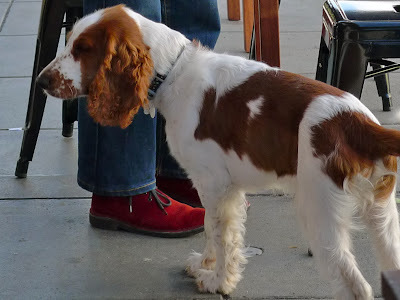 We waited for a seat at one of the smaller tables on the sidewalk and had a creamy, full-bodied coffee made with a seasonal grind from Axil Coffee Roasters. The seating outside is ideal for twos or threes on a balmy day, but our group of six was given the first available table inside without any fuss. The first thing one notices is the bright and bubbly decor. One can only feel sorry for the poor pooch out the front whose limited colour spectrum prevents him from appreciating the vibrant cafe. If Willy Wonka were an interior designer, this place would be his pride and joy. But Willy Wonka is a fictional character, along with Santa and the Easter Bunny (although I'm sure I once saw the tooth fairy), and in reality this establishment belongs to David Ballenger and Ryan Storey. Both chaps are qualified chefs, but David works his magic in the kitchen and Ryan behind the block yellow La Marzocco coffee machine. They make up two thirds of the full time staff, the final third being our waiter Nick, who looked after us attentively through our meal. The space is cleverly designed with a bright green feature wall to divide the seating from the counter, kitchen and coffee machine. The first thing you notice as you step through the door is the shiny yellow coffee machine, followed closely by the artwork. Created by Ryan's brother especially for The Pour Kids, it features three square canvases on the far left wall as you enter. Each displays a monochromatic stamp of a child or a pair of children on top of a colour block background of pink, blue and yellow. The artwork matches the kaleidoscope wooden chairs, which were sanded down and painted by Ryan in vivid blue, green, yellow, red and pink. If you are after the bathroom, you will be told to go through the red door. You almost expect to see Alice in Wonderland on the other side, but instead you 'll stumble into a clean white restroom, which is what you were technically after in the first place. Little touches add to the character of the room, such as wooden tea creates that house the cutlery. Pink and yellow flowers adorn every table alongside red and white tin water jugs, brightening the smooth wooden tables and contrasting with the spherical stick light fittings. The brilliant hues inside The Pour Kids stand out against the polished concrete floor and black and white geometric patterns on the far wall behind the counter, both of which hark back to the 60s. The thoughtful and refreshing fit-out is a marker of the quality of the food. Everything is made on site, with the exception of the bread, which comes from Knead bakery in Hawthorn. Knead also provides the almond croissants, although David pumps the sweet pastry full of homemade almond paste. The original menu offers patrons much more than the usual overpriced poached eggs with avocado and feta, which has become a staple at anywhere that's considered 'in.' However, this should not deter the dullards who prefer to keep breakfast simple, as you can always order 'The Lego (build-a-breaky)': two free-range eggs cooked your way on sourdough toast with a choice of traditional sides from the ‘Appendices’ section of the menu. With quirky dish titles, the menu - like its surroundings - is entertaining to say the least. Between us, we were ordered from a variety of amusing meals. We tried 'The Clark Kent of Muesli,' a healthy option of oats with ancient ‘super grains,’ served with organic yoghurt and pomegranate seeds (replaced this time with stewed rhubarb). Also ordered was 'Three bears out hunting,' raspadura-enriched porridge, with stewed rhubarb and pistachio praline. Raspadura is a type of unrefined sugar with a caramel flavour and strong golden colour. It is produced by evaporating water from organic sugar cane juice, so retaining most of its natural vitamins and minerals. Studded troughout the porridge were little crunchy jewels of raspadura, a healthy and tasty alternative sweetener to honey or sugar. For those with a sweet tooth, 'A toasty with the most-y' comes highly recommended. With a complete absence of the usual ham, cheese and tomato, this French-style toastie has a sweet chocolate brioche as its base and comes served with a spiced cherry confit and an aromatic set cream; a great way to skip straight to dessert! Perhaps the most interesting meal we sampled was 'Google this.' Served on a bed of frizee lettuce doused with extra virgin olive oil, this dish featured deep-fried, crumbed poached eggs (which were still miraculously oozy inside) with spicy chorizo and feta. It definitely wins the 'most original breakfast meal' award. For something simpler, the 'Smash and grab' is a fail-proof option, consisting of thickly cut bruschetta with smashed avocado, marinated feta, plump slow-roasted tomatoes and intricate swirls of balsamic reduction. The menu was so captivating that I ordered based on what everyone else wasn't having. This left me, quite happily, with 'Back off, Flipper!' It came out beautifully presented with three, flat pan-fried sardines layered on shaved celery and fennel on top of a haricot-sopressa paste on toast. The fennel was not overpowering and when combined with the celery, it cut through the oiliness of the sardines. The white bean paste complemented the mix of textures, providing a silky touch to an otherwise crunchy dish. Also of interest was the 'Rabbit season (duck season) rabbit season.' Consisting of slow-cooked rabbit meat with toasted brioche, whipped sage butter, cornichons and a boiled egg, the name alone is sure to please any Looney Toons fan. 'Baggy swimmers,' a French baguette with swimmer crab, preserved lemon mayonnaise and mizuna lettuce, was also appealing. The Pour Kids also features a 'Tales from the Crib' children's menu, which stars 'Humpty Dumpty and friends,' a boiled egg with sourdough horse soldiers, as well as 'Yankee Doodle went to town,' which is macaroni pasta with Pyengana aged cheddar. With kids these days growing up on a diet of Masterchef, there is no reason not to treat the younger patrons as mini gourmands. After reading "Insert double-entendre here. Come and peep at our divine display of tarts," I was not in a position to argue. Intrigued, I went and had a look... and lo, what tarts! Immaculately displayed on wooden boards resting on top of a glass cabinet (filled with baguettes, sandwiches, ciabattas and salads) perched a range of homemade wonders. From spiced berry muffins, friands and scones to biscuits, lemon tarts and beautifully constructed cakes, the decision was painstakingly difficult. Eventually, the white chocolate rocky road was chosen. The smooth, sweet chocolate was interspersed with chewy rose flavoured Turkish delight and crunchy pistachios. This treat can only be described as my new personal weakness. Washed down with an antioxidant-rich, Chinese white herbal tea, it was the cherry on top of a delectable cake. The food is affordable as well as delicious, with menu prices ranging from $7.50 to $16.50. In a cafe culture where 'trendies' turn their noses up at anyone who isn't a regular, and wait staff are often more concerned with themselves than their customers, The Pour Kids is exactly what Melbourne needs right now. The friendly service and accommodating staff, combined with a menu that excites customers and reflects a passion for fresh produce, makes this rainbow haven an absolute must visit. However, it is recommended that you visit soon, as everyone who sets foot in The Pour Kids is likely to become a regular. This new addition to Winter Street certainly won't leave you out in the cold. Great review! You didn't mention the coffee (Axil) which is delicious. Thanks Judi! It's easy to write about a place when you truly love it! The coffee is indeed fantastic. You must have just missed where I wrote about it (in the second paragraph). I'll just pretend I didn't mention it, that way I have a a good excuse to go back to the same place more than once ; ). good job. keep up the work. love the pictures.